Foto de stock - Scheveningen, Netherlands. Little fishing ship entering the harbor after a fishing trip ... . 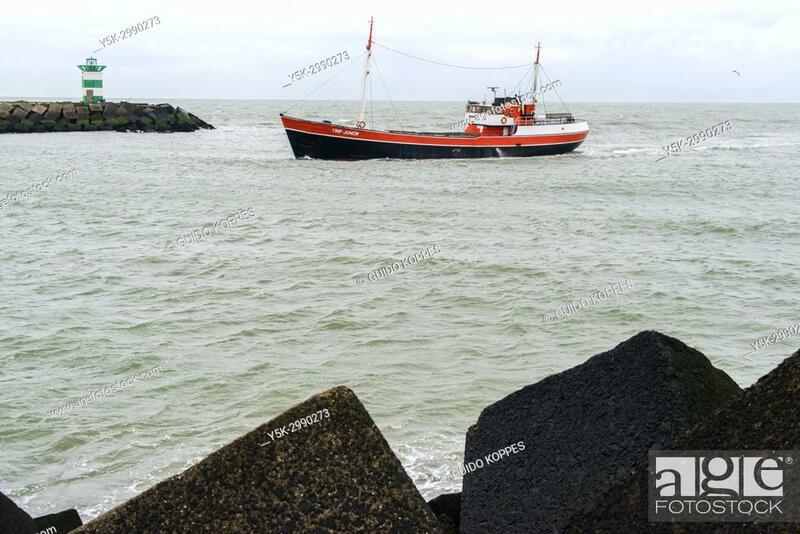 The harbor is mail dedicated to fishing and fishing boats from the North Sea, who sell their Cath on shore before it gets distributed inland and to North-West European countries.